Web hosting is a key part of any business’s online presence. Your host determines not only how much maintaining the web site will cost you, but it also governs large portions of your users’ experience. Careful consideration is essential when deciding with which Toronto web design service to partner. As you make your evaluations, try to keep the following points in mind. Obviously, you will want to go with a web host that matches your available budget. However, cheaper is not always better. Web hosting is made up of many different services and features that are not handled the same way between companies. That low rate one source offers could be because it only provides bare-bone services. Look at the features (quality hardware, non-outsourced support, etc.) a hosting company offers and compare candidates on a feature and price-point basis in order to come to a worthwhile conclusion. The exact storage space, bandwidth, backup, and other resources that you will need are going to vary depending on the site in question. Blogs and informational content-type pages generally require less work than something with an e-commerce or video element, for instance. High traffic naturally means higher needs and you should make sure the candidate host can accommodate. This means getting things like a visual private server (VPS) or dedicated hosting if necessary, among other measures. Since your web site is ideally going to grow over time, you also need to be certain that you are not getting locked into something that will fail to meet changing needs. Not all web hosts are able to offer fully scalable services. If you anticipate higher bandwidth or housing needs down the line, check to see if your host can oblige or if you’ll need to go elsewhere. For obvious reasons, this is going to be a big determinant when choosing between hosting companies. When something goes wrong on your web site—and something will inevitably go wrong at least once—you need to be confident that you can get reliable help to diagnose and fix the problem. This is just as true for site-crashing bugs as it is for minor graphical glitches. Fortunately, people talk about their tech support experiences a lot. You can easily look into a candidate’s reputation for support and responsiveness and also talk to the company itself to learn more about its practices. Methods of contact (phone, email, live chat, etc. ), level of staffing, and outsourcing are all things that need to be considered as well. If you have an interest in being involved with your web site’s design, then you are going to want a host that has a control panel and user interface you can actually understand. Some hosting providers will use programs that are more user-friendly and allow no-sweat set-ups of things like email, file transfer protocol (FTP) accounts, or WordPress; others are going to be clunky monstrosities you need to repeatedly call the help desk to figure out. Obviously, an interface that is closer to the former is better. While a hosting candidate should be more than willing to talk about what it can offer your business, a second or third opinion always helps. Social media, online forums, and simple word of mouth can all offer ways to get an assessment of a candidate and how it can (or can’t) help you. If you find complaints, note the most recurrent ones and how frequent and recent they are. It is possible, for instance, that an ongoing problem described has been fixed since the complaints were made. Also, keep an eye out for any responses from the host itself. How a company responds to grievances on its Facebook page, for instance, can give you an idea of how attentive it is to customer feedback. General performance, uptime, loading speed, and more are all partially or entirely dictated by the type of hardware used for the server and how it has been set up. You may also have preferences or outright requirements for certain configurations depending on how your web site works or its intended function. Be sure to inquire about the details of the server’s hardware (age, specs, etc.) and how to best maintain it. Ask a candidate what makes its hosting service stand out. What separates it from other companies? A host should ideally have something that gives it a touch of uniqueness. It might have multiple data centers in strategic locations, be energy-friendly with green practices, offer regular data backups, free domain privacy, enhanced cyber security, 24/7 support, or anything else that better sets it apart from competitors. These seemingly small differences can sometimes end up being the deciding factor between two close contenders. Numero Uno Web Solutions is a provider of search engine optimization (SEO), content marketing, and mobile optimization solutions for startups and small companies from all industries and fields. We stay on the pulse of industry changes and adapt our practices to produce quality SEO and mobile optimization plans to fuel the growth of businesses across communities. 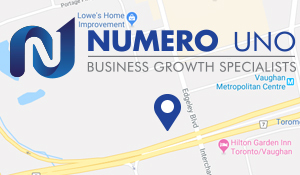 Contact us at info@numerounoweb.com or at 905-856-2012 to learn more about our marketing techniques and Toronto web design services.